When Vladimir Putin took the lectern at the UN General Assembly, he blamed U.S. policy for the wreckage of Libya, Iraq and Syria, and made a pitch for an international coalition to support “the legitimate government of Syria” and defeat ISIS. Of course, the “legitimate government of Syria” he supports is the one that dropped chemical weapons and barrel bombs full of shrapnel on civilians, and starved the residents of the Yarmouk refugee camp – war crimes, all. In addition, Putin as the upholder of international norms after annexing Crimea and sending Russians to fight in Ukraine is laugh-worthy. Predictably, the Obama administration is snickering and its spin-doctors are trying to make Putin look like a Middle East power-grabbing expansionist. I have never been a fan of the Russians or the old USSR. In fact, I spent my government career doing my best to thwart their plans and curtail their operations, but without disrespect. I learned to listen for the meaning behind the words and then determine a course of action that favors America’s interests. As the President should listen, and the Europeans should as well. They, after all, were anxious to oust Qaddafi and divide up what they thought would be the spoils of Libya, and cheered Obama’s abandonment of Iraq and the Sunni militias who kept al Qaeda at bay. Now they face one of the greatest humanitarian disasters in recent memory. The benign Merkel approach to the refugee crisis has already backfired; now it’s tear gas and cattle prods. Is Putin wrong to think their policies helped make it so? Was it right for the West to destroy Qaddafi to pave the way for al-Qaeda and other Islamic radicals to take charge in Libya and spread across North Africa and down into Mali and Nigeria? Did the U.S. help matters by embracing the Muslim Brotherhood in Egypt, and, when the MB was thrown out, refuse to see al-Sisi as holding back the radical tide? Was it a good idea for the Obama State Department to sneak around negotiating with Hezbollah, Hamas and the Palestinian Authority to spite Israel and push the only democratic country in the region into deals with radicals that could rock the security of the Jewish homeland? Does anyone really think that it is possible to reason with ISIS or put the Sunni jihadist genie back in the bottle? Another way of looking at it, and the Russians seem to see it this way, is these policies really are crimes because they lead – they have led – to chaos, destabilization, mayhem and murder. At the same time, Putin does not come at his Syria policy from a strong expansionist position; the Russian public is disturbed by casualties from Ukraine, and there is at least one report that Russian soldiers are objecting to deployment in Syria. Rather, Putin is trying to stave off what he sees as disaster for Russia and by so doing may keep the Levant from disintegrating into a low-level, eternal series of small but devastating wars getting ever closer to the European continent. Sunni jihad is Putin’s nightmare. Fear of Shiite Iran with nuclear capability doesn’t hold a candle to his fear of Chechens, Dagestanis and Ossetians with shoulder-fired missiles. Russia crushed the Chechens twice in plain view of the rest of the world. It wasn’t pretty and there were a lot of civilian casualties. The U.S. and the Europeans made it as clear as they could that crushing what they considered a “dissident” movement that way was unwarranted. Russia paid an international price for the deathly quiet it achieved in its southern provinces. Russia now fears that Russian Muslims fighting in the Middle East will acquire weapons and expertise to bring back to the homeland to restart the war. 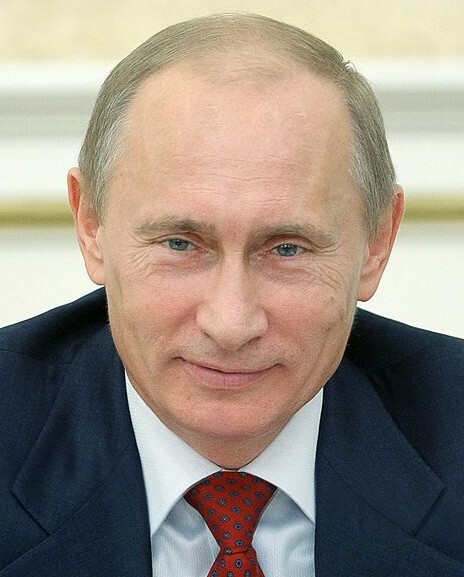 Putin told interviewer Charlie Rose that there are about 2,000 fighters with ISIS and al-Nusra. He does not want them back. He wants them dead. Can some Russian airplanes and tanks achieve what the U.S. Army, Marines, Air Force and Navy could barely get done with the “surge” in Iraq (and after leaving watching it fall apart) and failed to do in Afghanistan? The Russians are taking a big risk trying to protect Aleppo – keep in mind that they are not trying to protect Damascus. Even the administration should be able to understand that the Russian gambit is to try to keep the Alawites in power in a vastly reduced territory at best. But this territory won’t be left alone, and Putin naturally would prefer a coalition to try to counter-attack against ISIS. As things now stand, he won’t get it and the distinct possibility is that the Russian enclave will be nibbled at, fired on, and finally ousted by ISIS over time. This leaves the Russians (and the Iranians) with their backs against a wall and no good solution. Maybe that is what Obama and his team are hoping for, to see Putin embarrassed. But it won’t happen in a vacuum. Failure in Syria may well reignite the southern Russian wars, but the Russians may at least make money arming Iran. Europe will be weaker with masses of impoverished and unassimilated refugees, and the possible collapse of NATO under political pressure. Israel will have ISIS on its borders. Jordan, Saudi Arabia, Egypt and others in many Arab countries who believed the Middle East could become part of the modern world will find only despair as the United States squanders what remains of its superpower status. Stephen Bryen, PhD is the former Deputy Under Secretary of Defense and founded and first Director of the Defense Technology security Administration. Look for his forthcoming book Technology Security and National Power: Winners and Losers (Transaction Publishers, 2015). There is much trouble ahead not only in the Middle East but also in Central Asia. Too depressing to contemplate. You are, of course, right!